Halloween is the season of scary tricks and sweets treats. Different people celebrate the festivities in their own style and tradition. 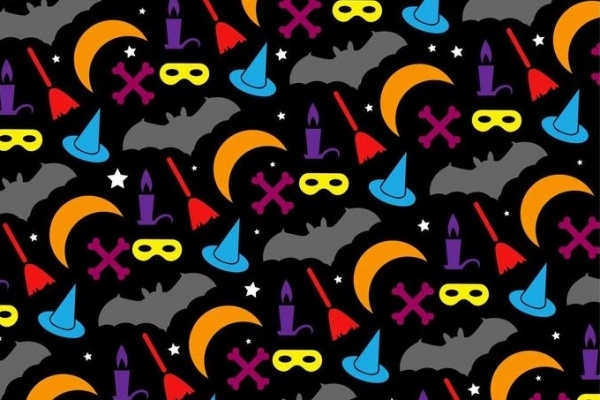 As Halloween is a big thing in the West, businesses, and professional strive to celebrate the occasion is their own way.You may also check Mickey Mouse Patterns. Designers, well, they become busy designing artworks for different purposes. If you’re a non-designer and interested in doing what graphic and web designers do during Halloween, surely you can! 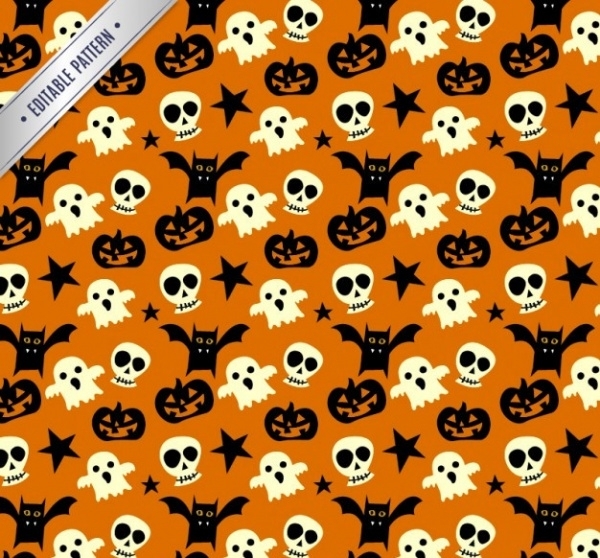 Halloween Retro Patterns vectors exist online in abundance. 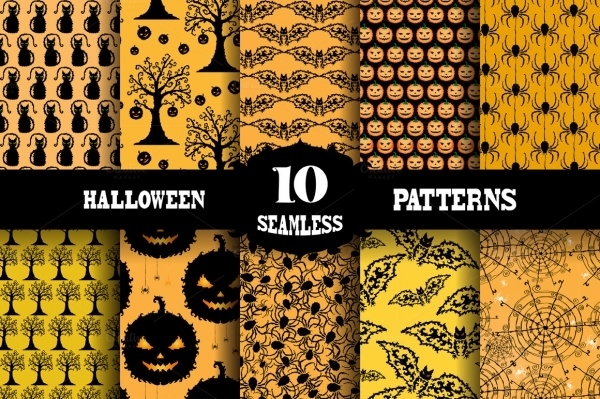 We hand-picked the season’s all-time best patterns for you to present them right here! 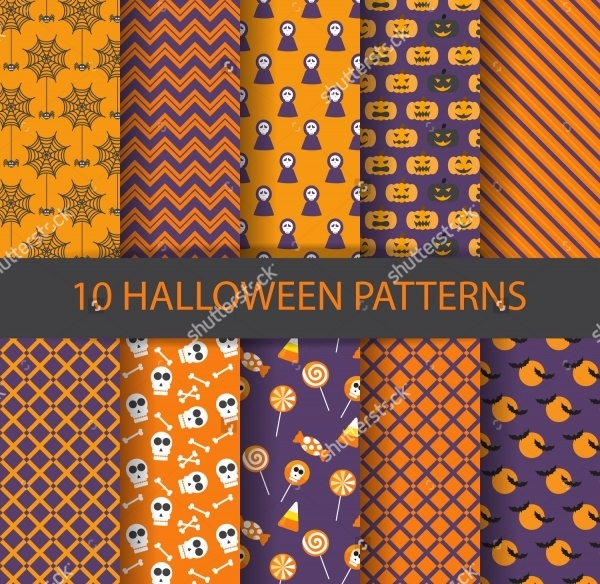 If you love Halloween patterns which you can utilize in different manner and make different kinds of things, well, take a look at this compilation of Halloween patterns – there are 10 of them in this. You can alternate between the patterns and use them to make hilarious backgrounds, put them as centerpiece on greeting cards, invites etc. 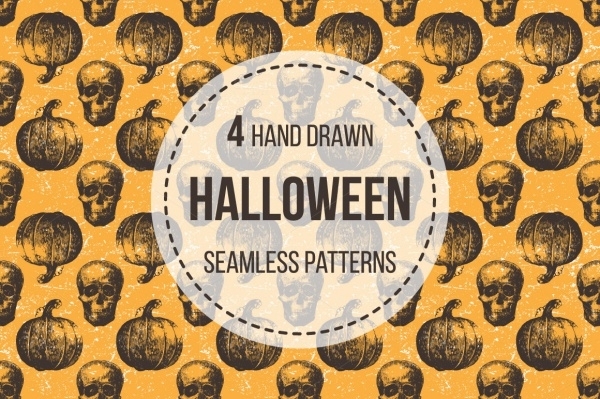 This vector contains a set of four Halloween designs – actually these are in black and white – the pattern are drawn in black and isolated on a white backdrop. 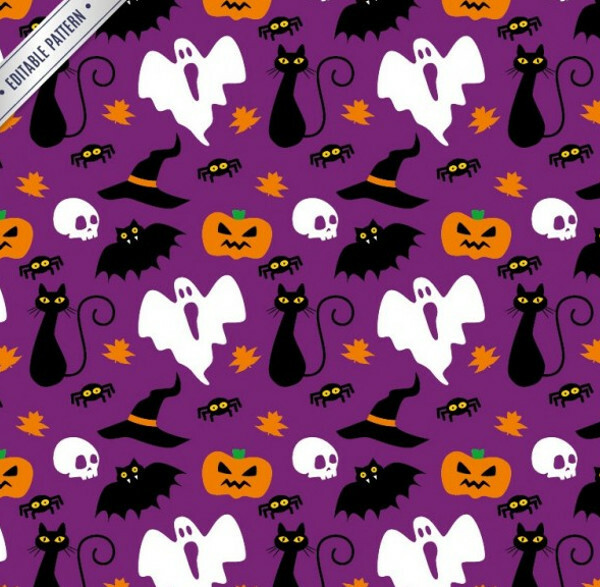 Each of the four patterns features the classic Halloween element – bats, owls, pumpkins, and floting ghost figures respectively. Knitted patterns are awesome. 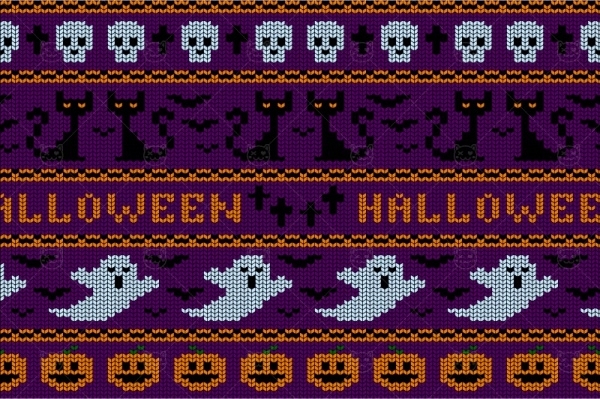 If you have an affinity for them then you’d absolutely love the Halloween knitted pattern which we have right here. 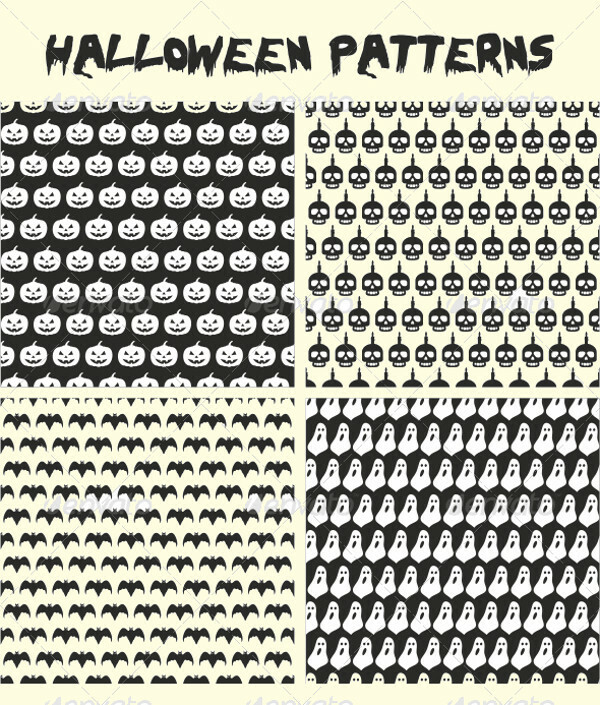 It’s a seamless pattern design and it features all of the elements associated with Halloween – pumpkins, skull, bat, etc. If you want to convey holidays greetings, this sample works bigly! 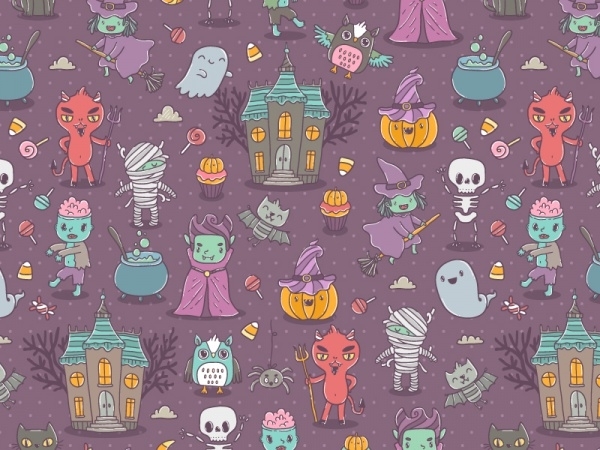 Check out this wonderful designed Halloween-themed pattern. It has been drawn with Watercolor Patterns. 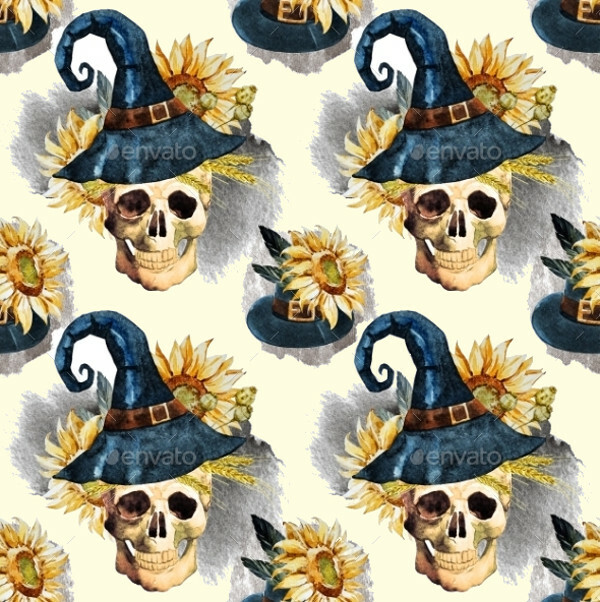 The pattern has got white watercolor skulls donning creepy-looking pointy hats. Could use this as desktop wallpaper, perhaps? 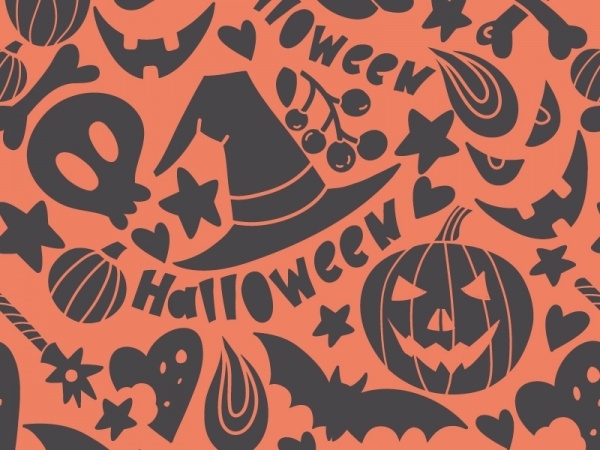 This particular Halloween-themed vector came about as an outcome of tracing operation done in Adobe Illustrator. 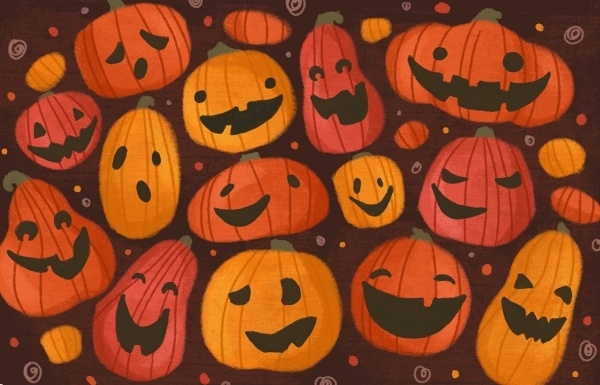 The vector features pumpkins and skulls – signatures of the Halloween season. This one would be a contender as a background design. 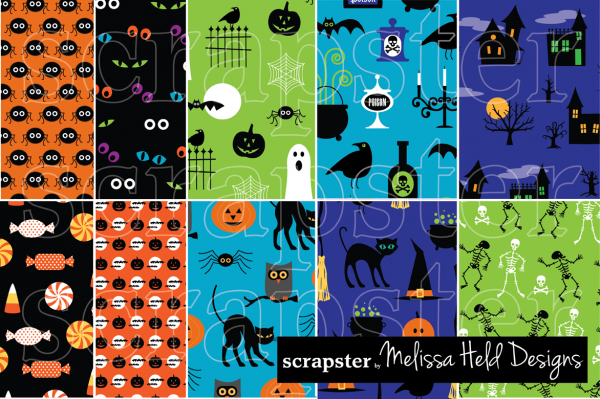 Need a fun gift wrapper for the Halloween season? Well, if you’re hosting a party and have surprise gifts in store for your guests, why not wrap them in a gift wrapper which is suitable for Halloween. 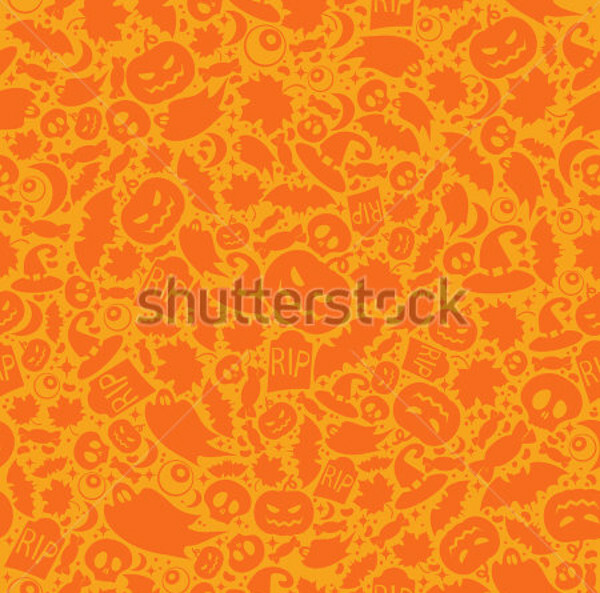 Just download this vector of seamless Halloween design! 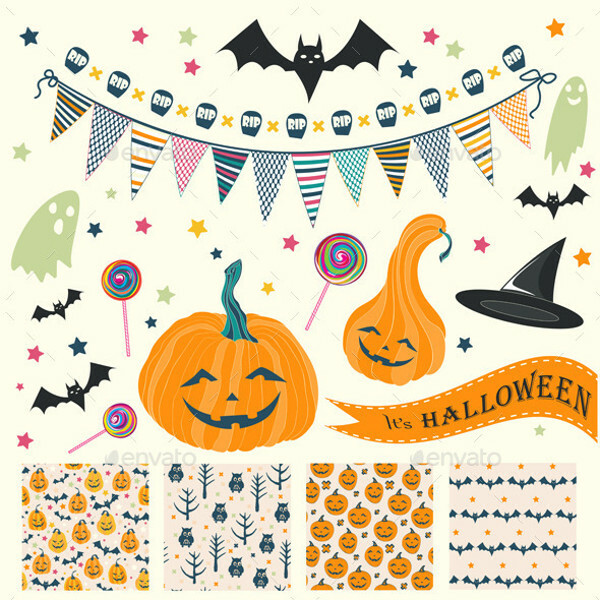 This is a collection of multiple Halloween-themed vectors – replete with images of pumpkins, bats, pointy hats, Halloween decorations etc. 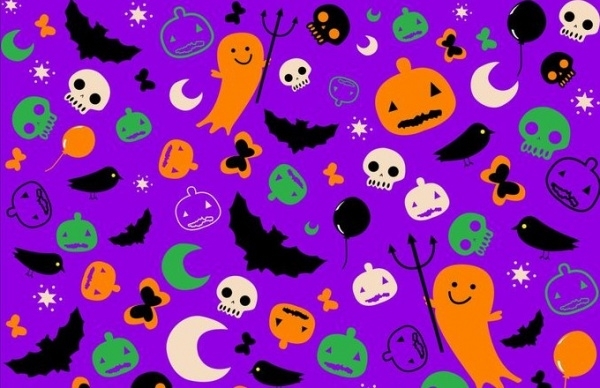 You can use these free Halloween patterns for making backgrounds, fabric and wallpaper design. For those that want more Halloween stuffing in a single package, well here’s a collection with as many as 10 Halloween – each very distinctive – and you can freely download and use them in any or all of your Halloween endeavors. 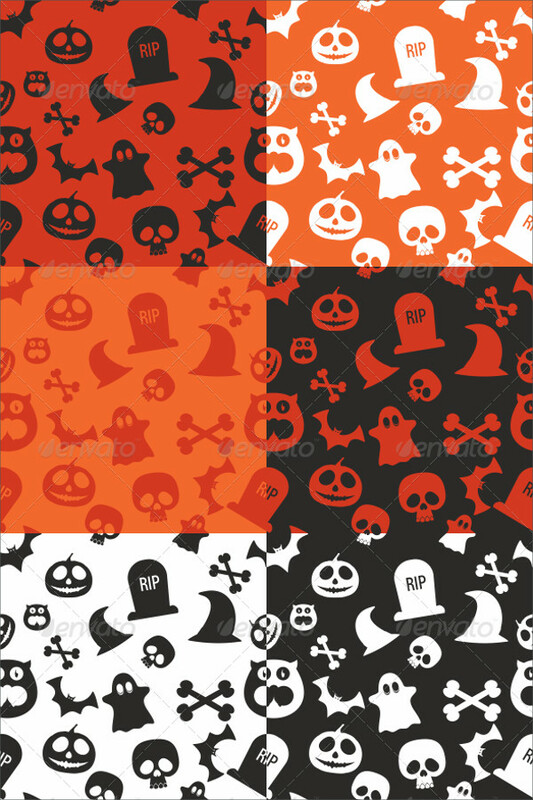 If you’re running a Halloween-themed website or blog and you’re looking for suitable backgrounds to line up for the same, well then here’s a Halloween vector set. 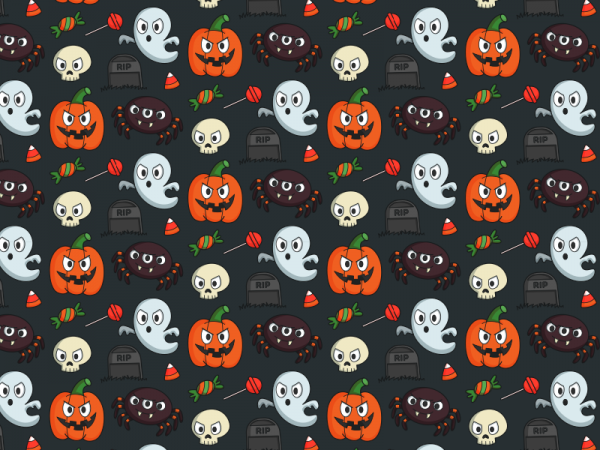 This one comprises of 10 Halloween patterns- suitable for wallpaper design, background design – for websites and blogs. 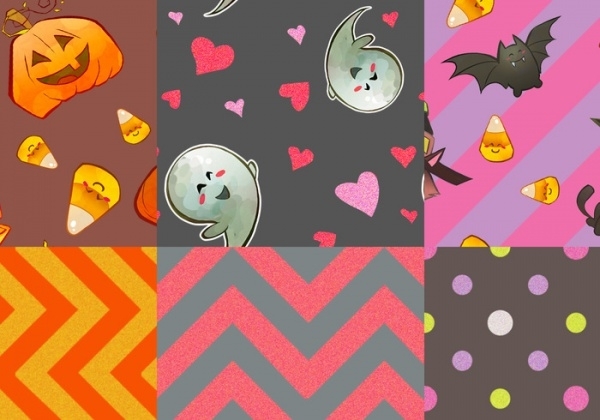 If you relish and enjoy the scary elements of the Halloween season, we’d bet that you’d really love this patterns collection. The patterns are cartoonish in design and that exactly is the USP of the set. What’s Halloween without the elements and details which play a big part in making us celebrate. More importantly, during holidays, the joys of designing things on your own are a big deal. With the pattern vectors which we have shared above, you can work with them easily and incorporate them in various places and objects.